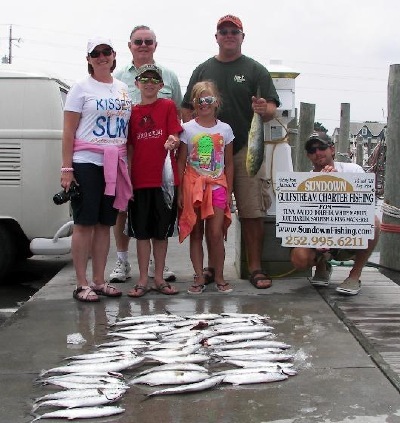 FISHING FUN FOR INSHORE SPECIES SUCH AS SPANISH, KINGS, BLUES,AND ALBACORE !!! FUN FOR ALL AGES HALF DAY FISHING IN THE OCEAN BUT STILL CLOSE TO HOME. THIS CAN BE A GREAT WAY TO INTRODUCE YOUR FAMILY TO THE EXCITEMENT AND FUN OF FISHING. Fun day of catching Spanish on a beautiful ocean!! PLEASE CHECK OUT OUR SLIDE SHOW OF HALF DAY TRIPS!! !